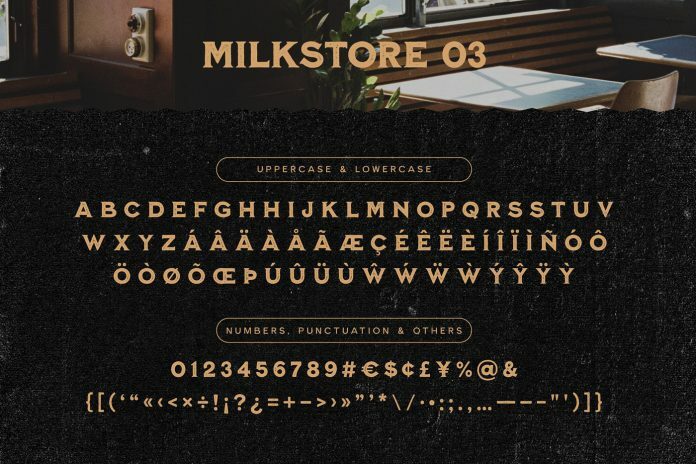 Milkstore, a vintage inspired font collection designed by Tobias Saul. 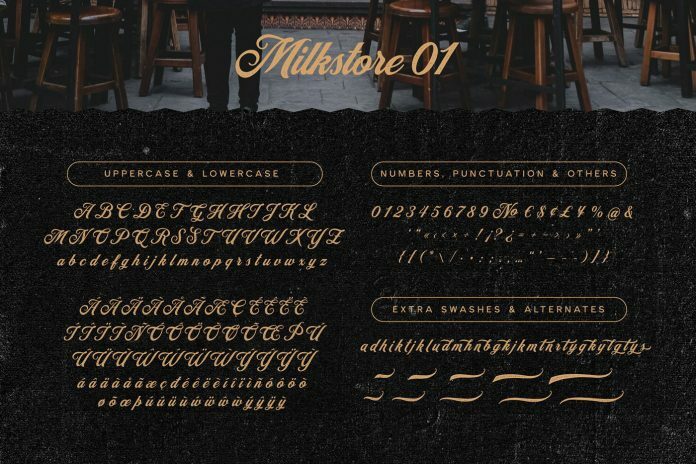 Milkstore is a charming font collection consisting of 5 sets of textured typefaces. 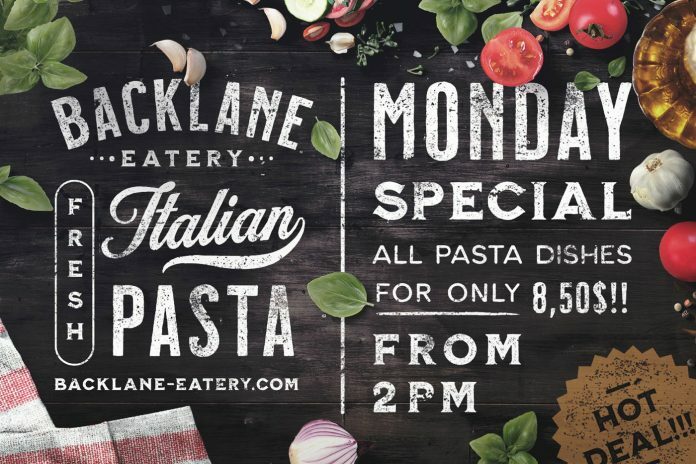 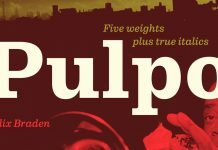 All included fonts are characterized by an authentic handcrafted look and feel. 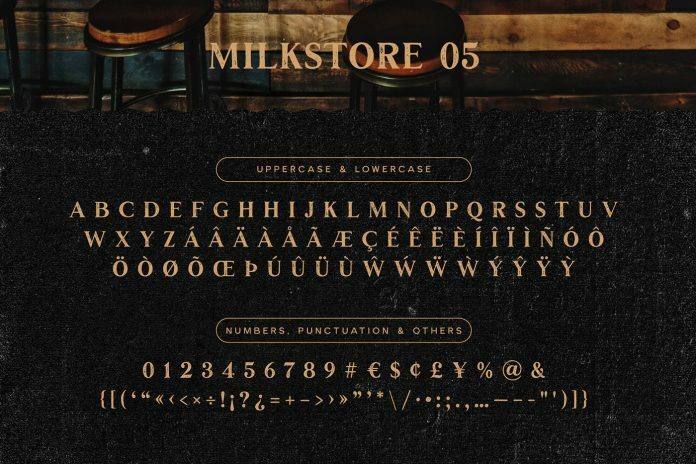 Their style is inspired by vintage brick wall murals. 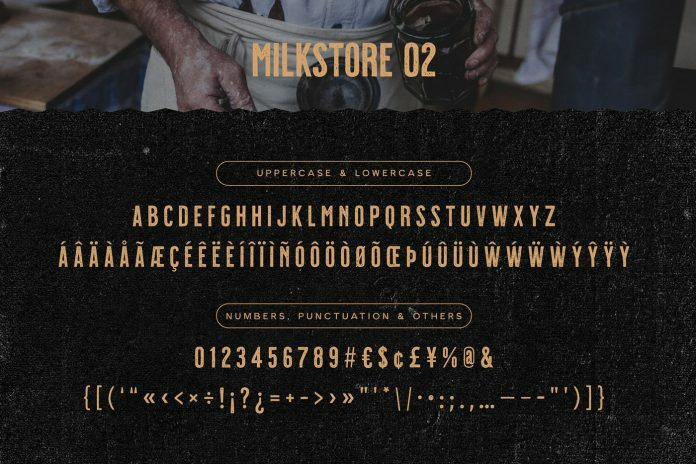 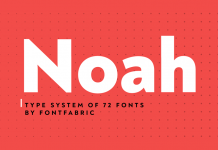 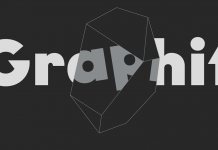 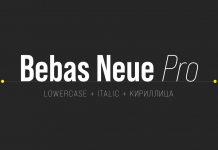 These fonts are well suited for logo designs, packaging, and titles with a handcrafted touch. 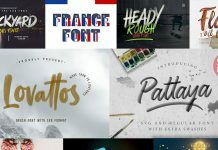 In addition, the collection comes with a set of 18 fully editable logo templates for Adobe Illustrator and more than 30 hand-drawn icons! 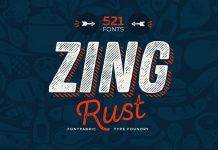 The set also includes 12 textured backgrounds to present your designs in an even more authentic look. 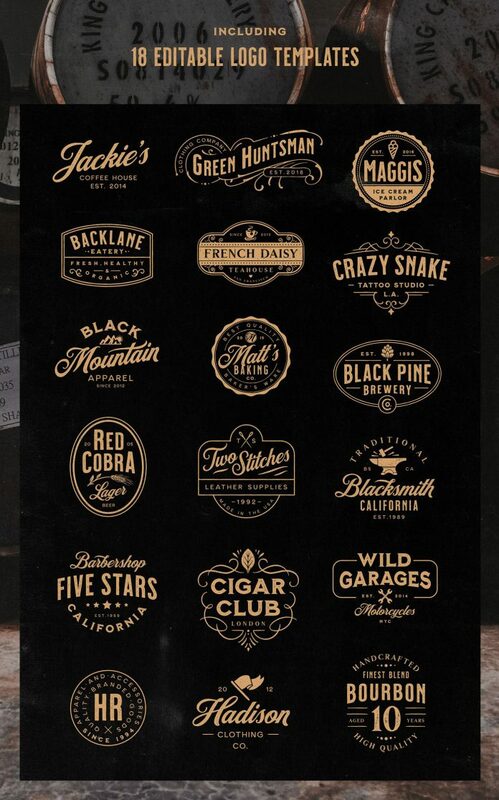 To learn more about this collection, just follow the link below. 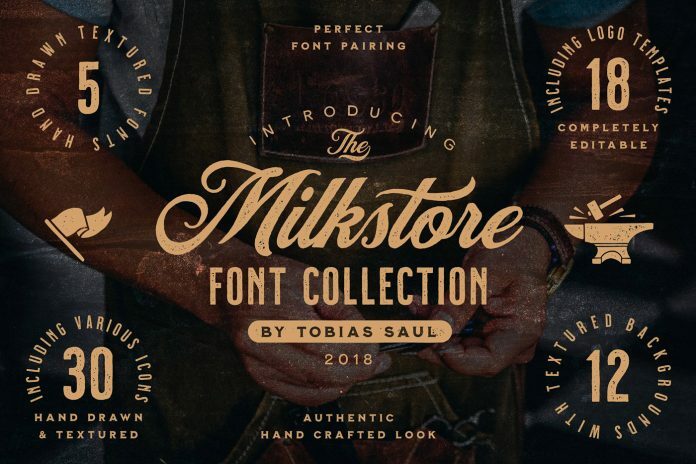 Feel free to purchase the fonts at Creative Market. 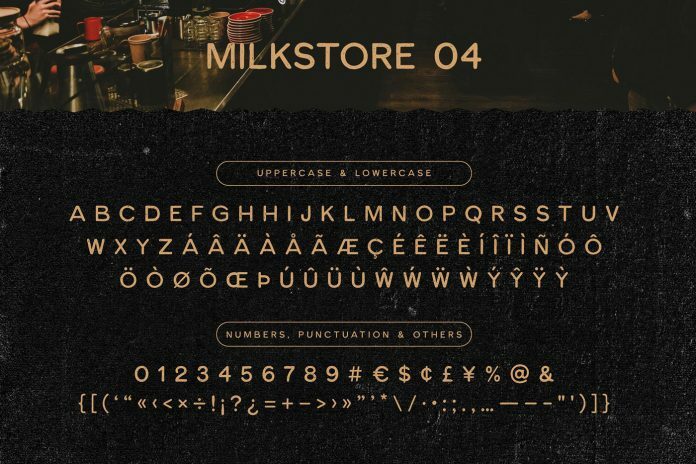 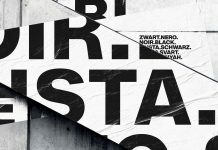 The Milkstore retro fonts by Tobias Saul. 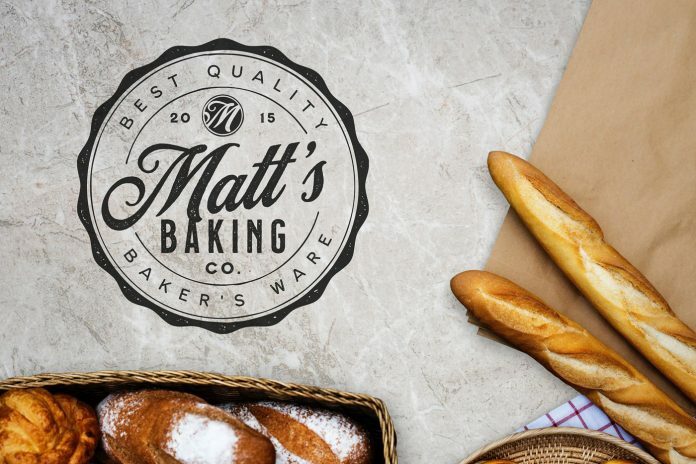 18 fully editable logo templates. 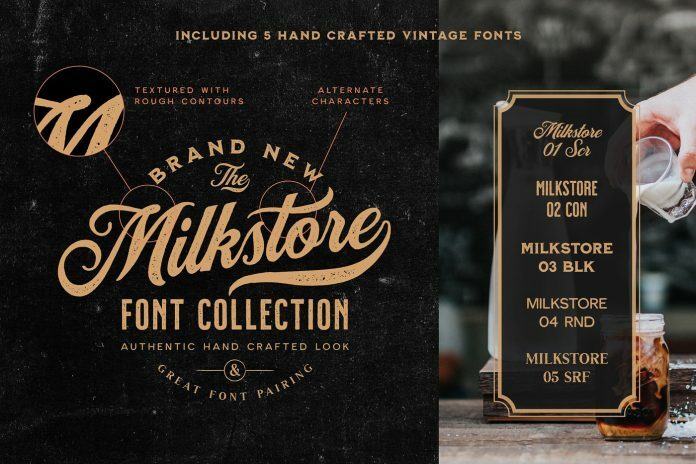 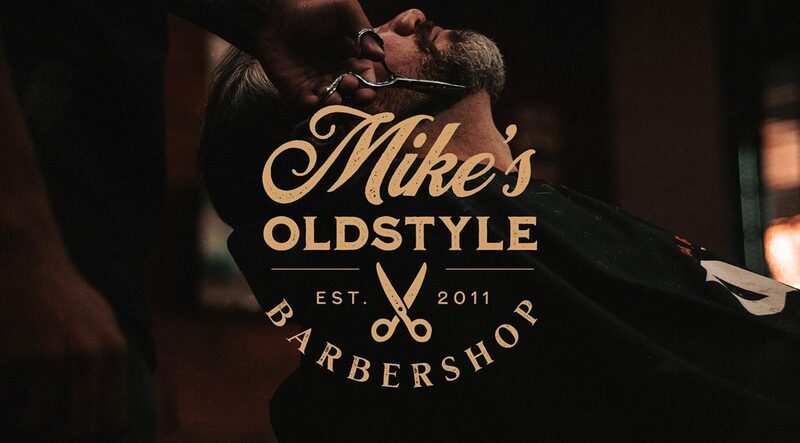 The collection includes 5 hand-crafted vintage fonts. 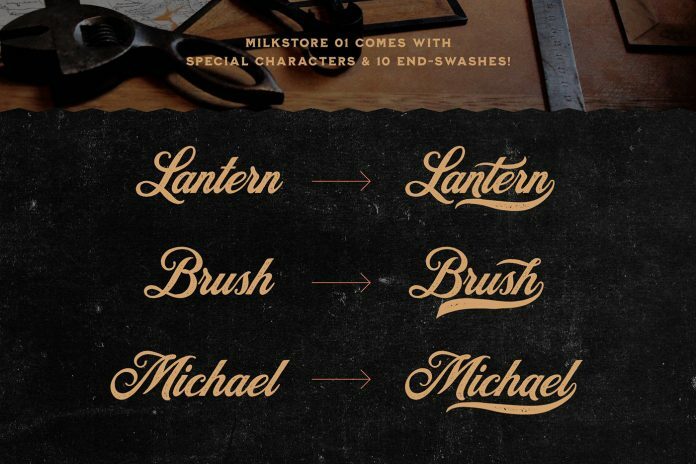 Set number 01 comes with special characters and 10 end-swashes. 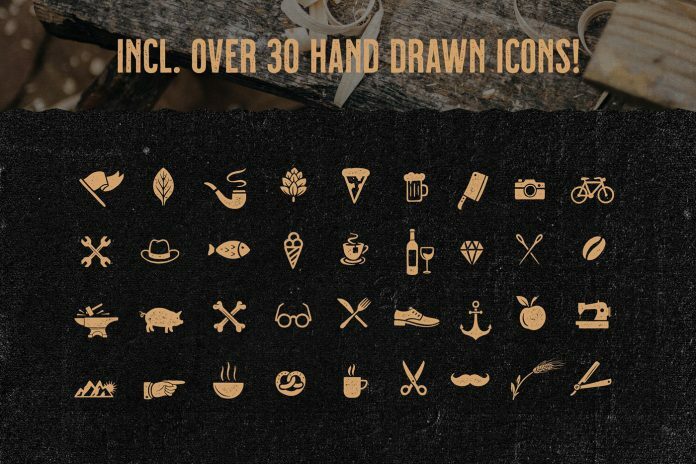 The collection includes over 30 hand-drawn icons. 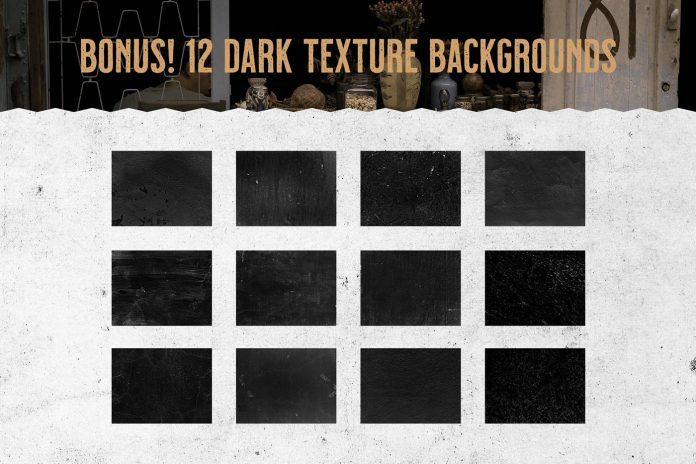 Bonus: 12 dark texture backgrounds. 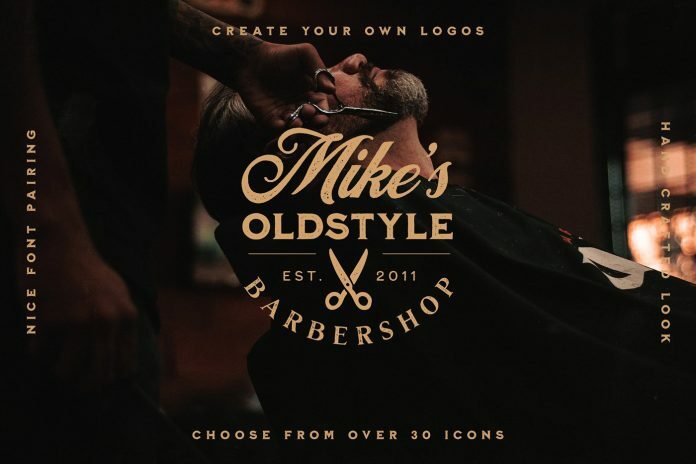 Choose from over 30 icons and create your own logos.